The Engagement | Lara & Jason Tie the Knot! Lara & Jason Tie the Knot! I’ve heard it said that living on a boat with your partner can make you or break you. 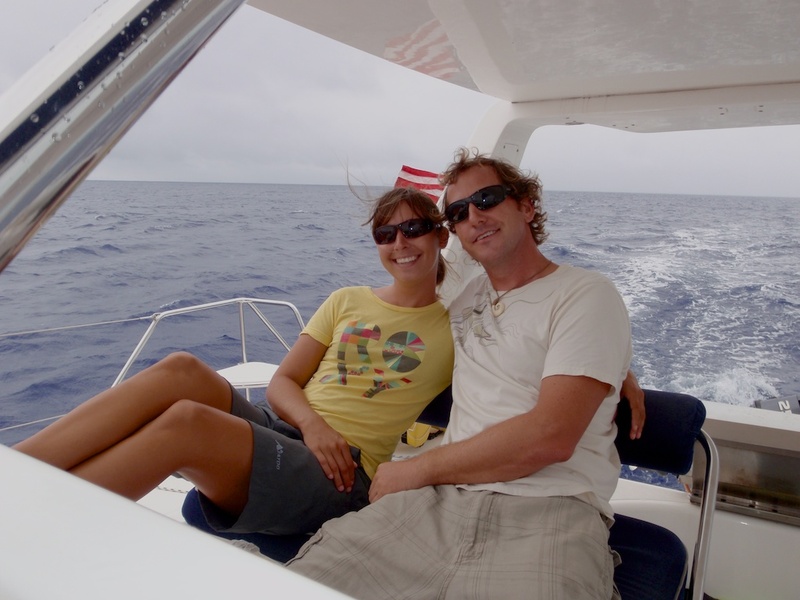 In late 2009 when Lara and I decided to head off sailing into the Pacific, bound for New Zealand, it seemed we were destined to find out for ourselves. Arriving in New Zealand after more than twelve and a half thousand miles traveled, mostly by sailboat, I can honestly say that it made us! On the surface, yachting seems like the idyllic life, and don’t get me wrong, it’s amazing, but working as crew on someone else’s yacht, living with complete strangers in very confined shared spaces, let alone with someone you love, all while enduring varying degrees of sea sickness, and constantly adapting to mother nature, is not without its challenges. If the rewards for traveling this way weren’t so amazing, no one would do it I’m sure. The physical and mental strain in that environment at times defies description, but that too is part of the draw. I think it’s the experiences in life that a couple lives and works through together that create the indelible bonds that can last a lifetime. During the nine months Lara and I spent wandering around the Pacific on our way to New Zealand we laughed, we cried, we were inspired and disappointed, we missed friends and family, we met new friends, and we did it all side by side. If ever there were doubts that Lara was my soulmate, they were no more. 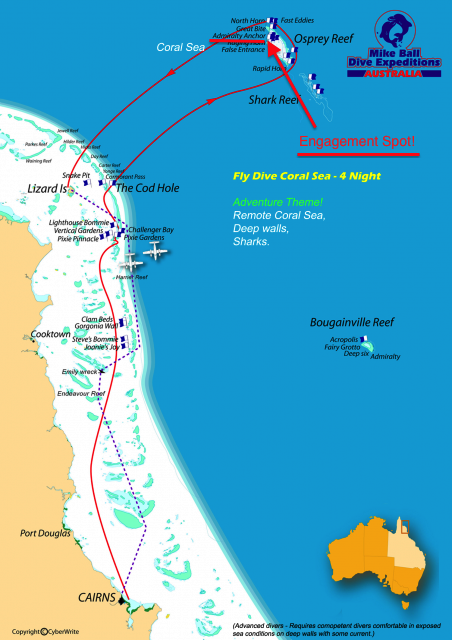 On a solo three-week trip back to Florida in November 2010, I met with a jeweler in my hometown of Jacksonville Beach and described the perfect engagement ring. A bit 1920s, with a modern twist, and a princess cut diamond, it was no ordinary engagement ring. With not much time, the jeweler pulled off a near miracle and was able to produce the ring in time for me to take it back to New Zealand and Lara. What I didn’t know at the time is that it would be almost a year before I’d give it to her. Wanting to have the perfect moment to “pop the question,” as well as a romantic setting involving yachts and the ocean, I waited, and waited, and waited, aaaaaanndd waited. Nearly a year went by before the perfect, well almost perfect, moment finally arrived on October 1st, 2011 at near sunset while onboard Mike Ball Expeditions’ live-aboard dive boat, “Spoilsport,” somewhere over Osprey Reef, in Queensland, Australia. 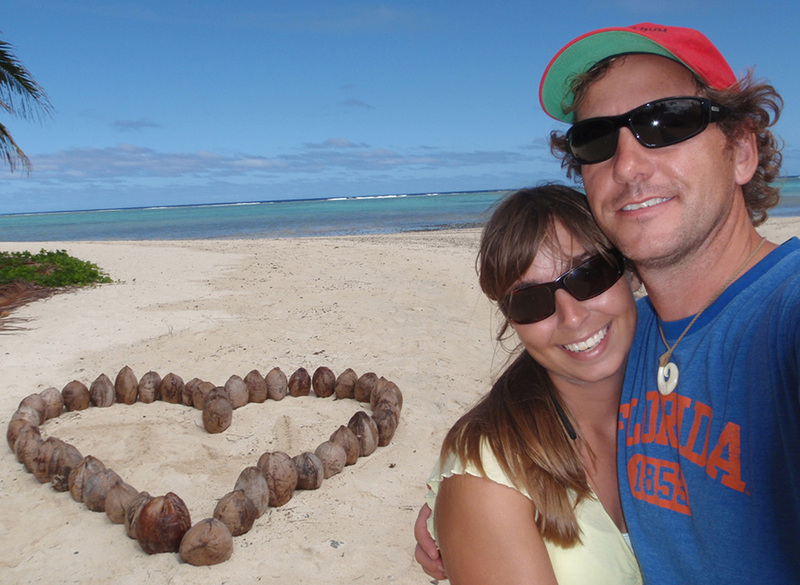 Going back a couple months… After much debate over where our next vacation would be, Fiji, Bali, Australia? For reasons Lara didn’t yet know, I was pushing hard for a tropical destination that involved boats and the ocean in the hopes of creating that perfect moment that would bring together our love of the sea and of each other permanently. We finally settled on a live aboard dive trip to the Great Barrier Reef. Perfect, let the planning begin! Perfect moments don’t just materialize; they need a bit of a nudge to pop up at just the right time, so I quietly contacted the dive operator to make some special arrangements, photos of the moment (these are very important to Lara), champagne (let’s hope she says “yes”), and the like. With the planning completed, leaving day finally arrives and at about the moment of touch down in Australia I realize that there is one small detail I may have overlooked! Not the ring, I have that with me at all times, but getting the ring through Australian customs without Lara finding out I’m carrying it. After racking my brain, I realize I’m not a smuggler, and the best I can do, like any guilty looking tourist, is to chuck it in my carry-on and hope that if the agent on the other side chooses to search my bag, he’ll have some discretion and not ruin my surprise. Turns out I was sweating for no reason and customs was a breeze. We spent the rest of the day wandering around Cairns, taking a cable car ride, cuddling koalas, cooling out with kangaroos, and topped it off with a ride on the Kuranda Scenic Railway. The next morning we board the dive boat and head out across the Great Barrier Reef. After a couple days and nights of diving and making our way far offshore to Osprey Reef, the day has finally arrived. Great story Jason; I had not seen this before. What a romantic you are! I had to chuckle when I read the part where Lara “called you out” because she figured out something was up. Where are the pictures of those moments? Put on your dancin' shoes, because today we celebrate!